Mark your calendars alumni! 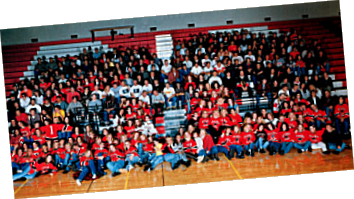 Our ten year reunion will be held the weekend of July 25-27, 2008, in Grand Forks, North Dakota. Look for updates about our 2008 reunion often, send us your pictures, comments and let everyone know about our upcoming reunion. It’s that TIME! Ten years have come and gone fast. Let's catch up in Grand Forks, North Dakota over the last weekend of July 2008. Your class committee is working hard to pull together a fabulous event for all our 1998 RRHS classmates. Be sure to sign the guest book and check back often for updates about all the weekends events. Can't wait to see you there!